Following security updates for the Galaxy S8 and Galaxy Note 5, it’s now the Galaxy S7’s turn to be updated. 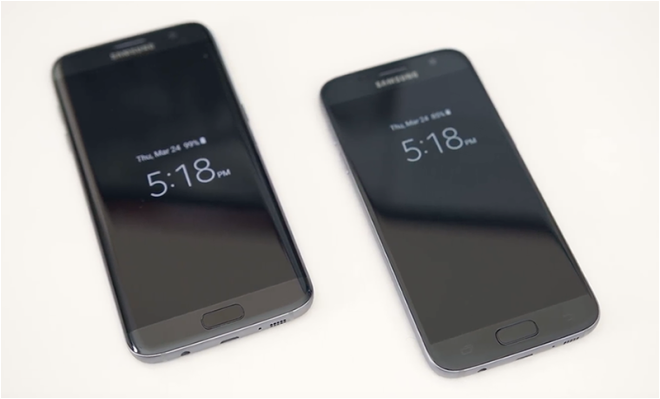 T-Mobile is now pushing software updates to its Galaxy S7 and Galaxy S7 edge. 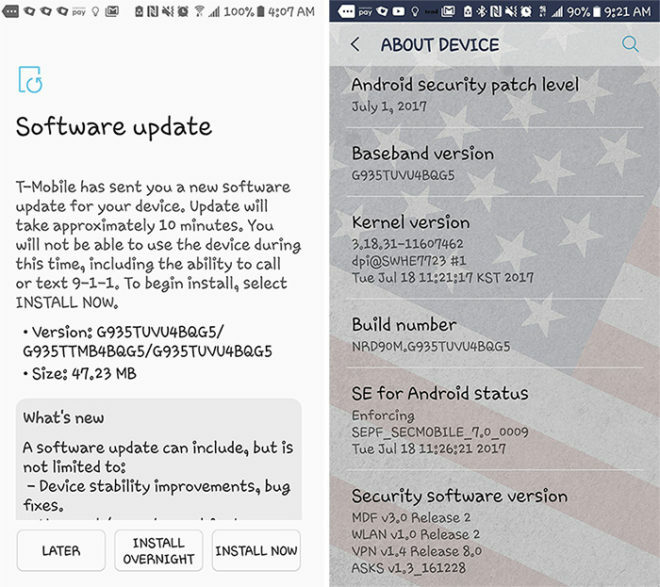 The updates include the July 1, 2017 security patches. If you’ve got a T-Mobile Galaxy S7 or Galaxy S7 edge and haven’t yet gotten your update, you can manually check for it by going into Settings > Software update > Download updates manually. Server bandwidth? Or maybe to wait and see if the update will roll out smoothly and pause further updates if users report bugs and glitches? This update is very important. It fixes a broadcom wifi bug that allows a remote attacker to take over your phone, albeit they have to be in range of you to do it. I hear that, this update is very important to us all. The remote attacker was so easy to do and take peoples cellphone over.